South Lancashire's pre-industrial past: Peel Hall, Astley: Riches to Ruin. Peel Hall, Astley: Riches to Ruin. This is the first in a short series I have wanted to do for quite some time. I'd like to research and present the history and heritage of my local area: Astley and the surrounding area. 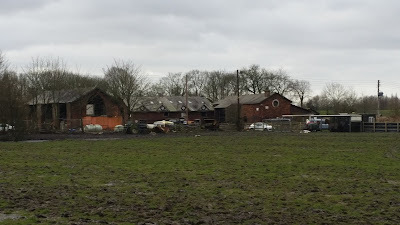 The first historical location I am going to investigate is Peel Hall farm in Astley, a Grade II listed building quite close to me, both literally (I can see it as I type) and mentally, as I grew up no more than a hundred metres away. Peel Hall is located in Astley, beside the Bridgewater Canal, a short journey down an un-adopted road (beware it is very bumpy) from Astley Green. 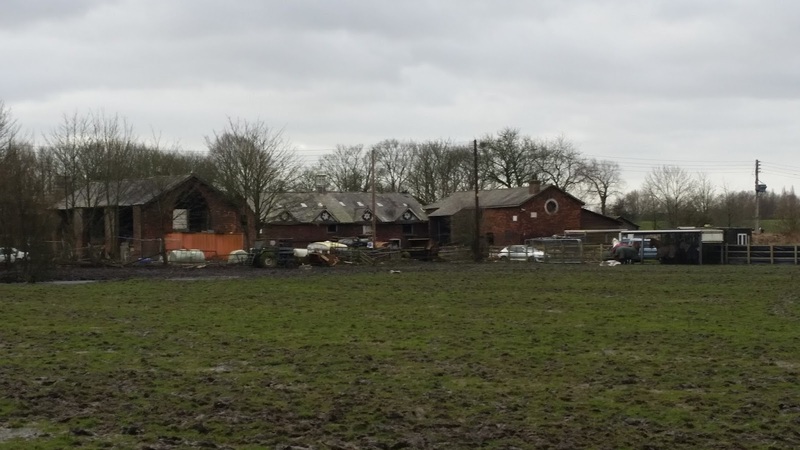 As the photo illustrates the building is now a bit of a mess, with the carcasses of caravans and farming machinery littering the surrounding area (Photo #1). The photo, however, only shows the back of the building complex, the front of it faces the Bridgewater canal, constructed in 1795. This photo (#2) was taken around 1900 and shows a splendid south-facing facade with columns. The structure originated in the 16th and 17th centuries though was largely rebuilt in the 18th and 19th century. It is a H-shaped two-storey hall with a colonial style loggia created in the 19th century with a facade of two-storey high cast iron fluted Ionic columns, a feature repeated at the rear (www.britishlistedbuildings.co.uk/en-213524-peel-hall-). 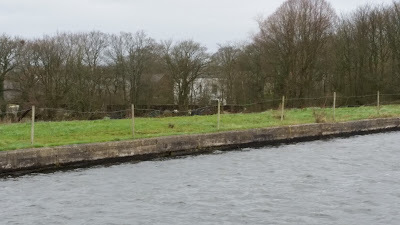 Sadly this magnificent view is no longer available to the interested, with the front of the structure, facing the canal, now heavily overgrown with trees and foliage (Photo #3). So what is the story of Peel Hall? Why did this wonderful structure come to be built here in Astley and why has it now fallen into ruin, passing out of memory? The history of Peel Hall goes back further the present Hall, with the original structure on the site being built in the late 12th or early 13th century at the latest. The first reference to Peel regards the estate of Peel Hall, which was granted to Cockersand Abbey (North Lancashire) between 1190 and 1221 by Hugh de Tyldesley, the lord of Astley Manor (formerly on the Damhouse site). Cockersand Abbey was formed by a band of Christian monks, and the document sets out an area which "began at the water known as the fleet, following the brook northwards to Limpet Hurst and following the Brunehevese southwards back to the Fleet" (Cockersand Chartum 712). The original estate likely encompassed the fields immediately north of Peel following the brook, eastwards perhaps to the village and southwards to Black Moss brook (www.british-history.ac.uk/vch/lancs/vol3/pp445-499#h3-0003). By 1286, the Gillibrand (Gilibrond) family emerge in documentation, beginning their four hundred year association with the estate. John Gilibrond is recorded as renting the estate from the Abbey for two shilling yearly. At some point over the intervening three hundred years the Gilibronds gained ownership of the estate from the monks, though there is no textual reference for this transaction. The next recorded reference to Peel is at the death of Thomas Gillibrand in 1648. His will supposedly took four men three days to account and his possesions were listed to the value of £595. It is around this time that it is believed that the modern structure was first built, with elements surviving to this day, with modification. The estate is said to have had a sizeable amount of arable land and a water corn mill near the Ellenbrook (likely the former name for Astley brook). There was apparently a sizeable tithe barn for the storage of oats and barley (Lunn 1968). The theme of grandeur is continued when the interior of the hall is described. The walls were well furnished and the bedrooms had feather beds, a luxury for the time. There was a significant amount of silver dining ware, with one piece said to have been 30 ounces in weight. There was also a gatehouse for the servants to 'guard the approach' from the Village Green (Lunn 1968). By 1693 it seems that the Gillibrand family had fallen on harder times. A series of documents from 1693 to 1756 detail a succession of mortgages taken on the estate, with Thomas Gillibrand (son of the former Thomas) and his wife Mary receiving £250 for mortgaging the estate in 1693. Another mortgage was taken out in 1697 for £216, with another in 1698 for the princely sum of £1,143. The Gillibrand debt was trasnferred to a debtor named bertie Entwisle whose will in 1732 suggests that the Entwisles had taken ownership of Peel Hall. It was left to his son, who took out a mortgage on the estate to £2000. By 1763, Thomas Mort acquired the estate and it became a part of the larger estate of Astley Manor (Damhouse). 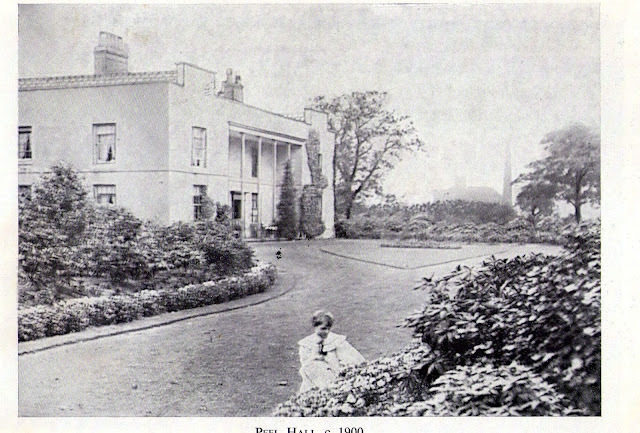 1795 saw the first large scale building project to sever the lands of the Peel Hall estate. Despite local opposition, the Manchester to Worsley canal was extended to Leigh (and eventually through to Liverpool) and the route cut straight through the Peel Hall estate, coming close to the house's south facade. The 1821 sale of the Hall, from Samuel Arrowsmith to John Kenworthy for £2,500 provides a useful map of the estate during this time. The hall still retained its medieval moat, as well as an access road to the Village Green and a bridge over the canal to the estates southerly fields. Soon after the sale, the medieval moat was reportedly filled in. 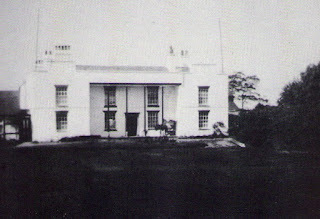 After the sale in 1821 there was a series of changes of tenantship at Peel, with Samuel Park recorded as the tenant in 1850, George Kenworthy (John's son) in 1853, Matthew Hilton in 1881 and Thomas Oliver Cross in the early 1900's. In 1908, the first coal mine shaft was sunk in Astley Green and the owner of Peel Hall, Thomas Oliver Cross leased one of his fields for 99 years to the colliery company to build houses for the miners (of which my childhood home is one), as well as offering a through road from Astley to Leigh. This through road was eventually superseded by the construction of the East Lancashire Road (A580) in 1934, which provided a direct car route from Manchester to Liverpool and further severed the lands of the Peel Hall estate. The estate has been on a slow decline since the heydays of the Gillibrands, though in recent times, the private ownership of Peel Hall has led to a marked decline in the upkeep of the hall. The hall is one of two of the oldest standing structures in Astley and as such deserves celebration. The present ownership are sadly keen to cut off Peel Hall from the outside world, restricting access to the estate and generally letting the estate fall into ruin. In 2014, Chaddock Hall in Astley - another Grade II listed building - was destroyed by fire in a suspected arson attack. The lands around Chaddock Hall, also Medieval in origin, were ripped up to make way for an industrial park and residential estate. Though I wish it not, I fear the same fate may eventually meet Peel Hall. Tonge, J & S. 1989. Pictorial Astley, John Roberts & Sons, Salford. Chaddock hall was badly damaged by fire in 2014 but was salvageable. Unfortunately the developers building on the land decided that instead of restoring the hall into residences as they had originally planned they purposely and illegally demolished the hall, an act of gross vandalism in my opinion.